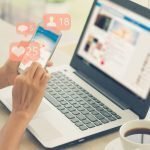 What are the best apps for streaming movies? This question is widely floating on the internet these days, No doubt Free movie apps are the best choice for anyone who wants to watch the latest movies as it offers different resolutions for a better watching experience. Some of these resolutions include Blue-Ray, 1080p CAM, Full HD 720p and much more. It became popular over the past few years because of top quality movie streaming and fast download speeds. It is difficult to find the best movie app since most of them are outdated and have not been in existence for quite some time. That is why we did extensive research to save you time and help you stay up to date with the latest movies and series. Below is a comprehensive list of the best free movie apps where you can watch movies online and TV shows. Tubi TV is one of the best movie apps that offer new competition to CouchTuner and Netflix. It has been growing rapidly over the recent years acquiring a bunch of new content from MGM and Lionsgate. Tubi TV is available for a variety of different platforms including major streaming boxes. It works like any other video streaming platforms but offers a more intuitive interface with scrollable rows of movies that are sorted by genres and topics. The categories highlighted by Tubi TV are pretty clever as they include “Highly Rated on Rotten Tomatoes”, and “Not on Netflix”, among others. It is very easy to find the best content on Tubi TV because of the smart choice of categories offered on their platform. Yidio is another free movie app that acts as a TV show source aggregator. It directs you to other third-party hosts if you want to watch a particular episode. You can browse by genre using the right sidebar or the menu on top to filter available shows. Select the ‘Free’ filter if you are looking for something to watch without paying any charges. Once you have clicked on a particular show, it will display a summary based on IMDb information with a variety of thumbnails for available episodes. You will be taken to the particular episode listing once you click on any thumbnail on the app. 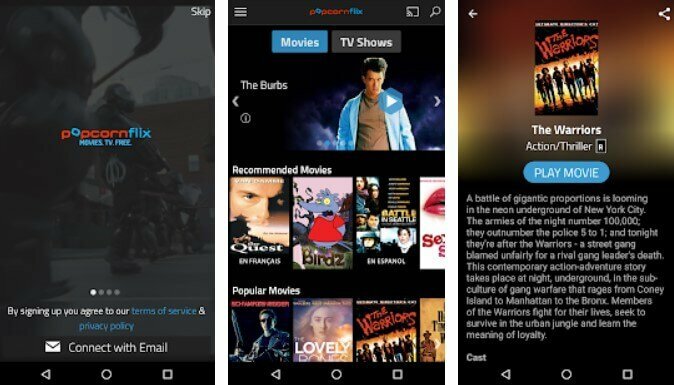 Popcornflix has been a popular movie app for android well-known for its wide range of foreign films, documentaries, full-length movies and original web series. It is a top movie app where you can check out for unique TV shows that cannot be found anywhere else. You may want to check out the 90’s TV of Popcornflix if you are a millennial seeking some serious childhood nostalgia. 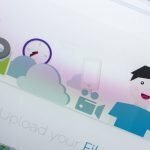 Although Popcornflix doesn’t have a large TV show offering, it might be worth checking out for people who are looking for something different. Putlocker is an online index of files hosted in the web that primarily consists of TV series and movies. 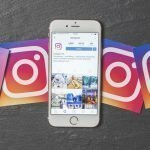 It has become a popular mobile app for most people worldwide despite having some issues related to pirated content in 2016. The good news is that their service is still up and running with other identifications. Putlocker is a favorite of people living in the United States, Canada, Australia, United Kingdom, and India among other locations. 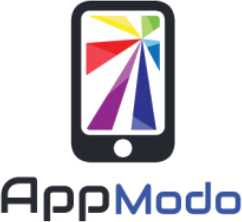 This movie app is valued because it offers the most popular series and all genres of acclaimed movies. Viewers in other countries are allowed to watch Putlocker for free without any legal concerns. However, it is advisable to use VPN software if you live in a country where Putlocker is said to be illegal. If you have been looking for an app to stream free movies online, then 123Movies offers everything you’ve ever wished for. It is one of the largest apps for streaming videos with thousands of movies available on their homepage. The main reason why 123Movies trends among the best movie apps for movie streaming is because they don’t have any pirated material in their content. This is because they do not allow user-uploaded content thus complying with the legal rules of the Movie industry. Most people have ditched their TV cables for streaming apps and 123Movies just happened to be a favorite for most viewers because of its vast selection of movie titles. 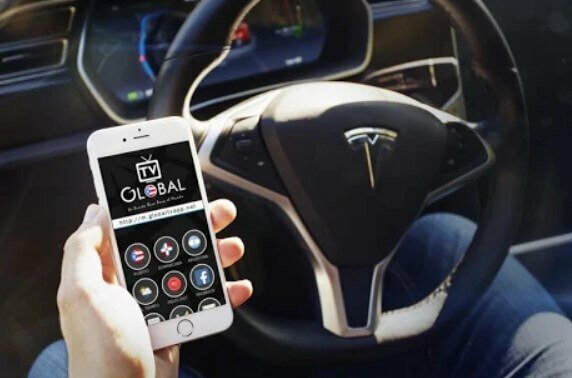 Global TV has more than 2000 channels worldwide from countries such as Italy, Germany, Russia, Spain, USA, UK, Thailand, China and many more. It also comes with sports channels and movie channels that you can free live tv streaming. All you need to do is connect yourself to a high-speed 4G internet or Wi-Fi for the best video quality and experience. It also offers Live TV 24/7 once you sign in with the credentials of your television service provider. The most interesting feature about Global TV is that they care deeply about their audience and always welcome viewer comments and feedback for making informed programming decisions. Popcorn Time offers free mobile apps, software for Windows, Mac OS, Linux, Linux 32-bit and 64-bit. 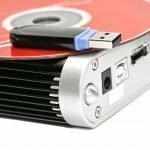 Download the available setup file for your operating system and the run or install the software on your computer. Once you open the homepage, you will be exposed to an exhaustive list of Movies and TV shows highlighting the year of release and the movie’s rating. Click on the TV shows home label if you want to search for your favorite TV shows. Everything is sorted by popularity on IMDB by default. However, you can adjust the settings according to your preferences on the left sidebar. The interface is easy to use and offers the latest movies and TV shows which are trending. 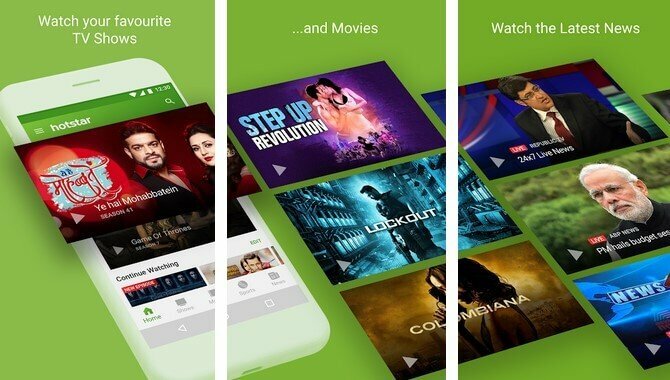 Hotstar is a favorite movie app and is owned by Star Ventures. Although it is popular among the Indian audience, you will definitely find a lot of TV shows and international movies as well. It allows streaming of movies in English, Indian or Hindi languages. Besides the wide range of TV series and movies offered by Hotstar, you can also find live cricket telecasts and highlights. Hostar movie app can be used to stream free movies on IOS and Android versions. Hotstar is updated on a regular basis which makes it one of the best apps for streaming online videos at no cost. People forget that YouTube is actually a great place where you can find your favorite movies and television shows. It displays all the subsections like Sports, Movies, and TV shows. Keep in mind that you won’t get access to the most popular or most current shows unless you pay for them. However, you can watch TV shows that have been around for a while. For example, if you search for an old ABC family sitcom such as ‘Boy Meets World’ from the 90s, you will see several uploaded episodes from almost every season. The only downside when streaming on the YouTube app is that you cannot watch current TV shows or movies without paying some fee to stream them legally on YouTube. 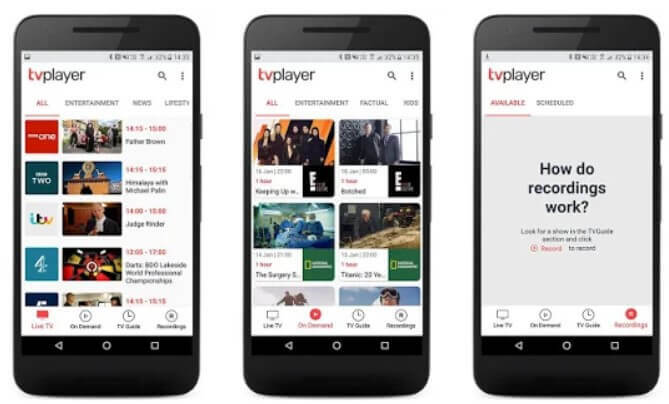 TV Player is a UK-based free movie streaming app that allows free streaming of popular and recent TV shows. It offers 95 channels on mobile devices for free including TV shows that are currently airing live. Upgrading to a Plus account gives you access to 30 premium channels for a monthly fee. Some of the free channels offered by TV player include Discovery, ITV, BBC 1, History, Five, Lifetime, Dave and much more. Create an account by signing up using your email address, verify your account and start watching your favorite TV shows. The only downside of TV Player app is that it has been restricted to users living in the UK. Despite this location restriction, TV player still stands as one of the best tv apps for watching TV shows online. 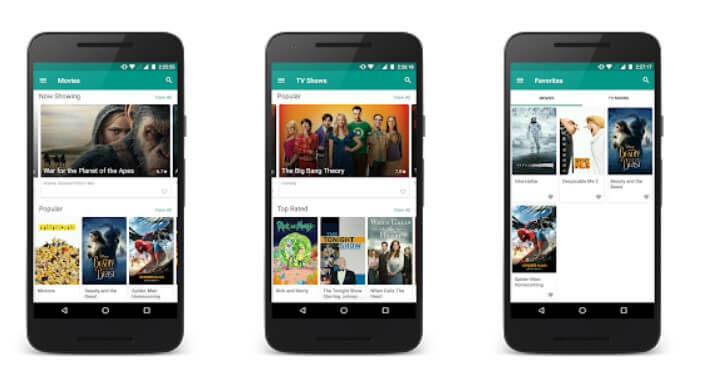 All these free movie apps for Android can help you stream your favorite movies and TV shows on your mobile phone. You can get access to both old and new episodes of TV series that are ongoing or completed. 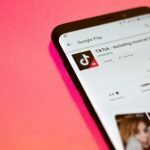 If you are a fan of action, thriller, horror and romance movies, you can find all of them in the extensive library offered by these Tv and movie apps. 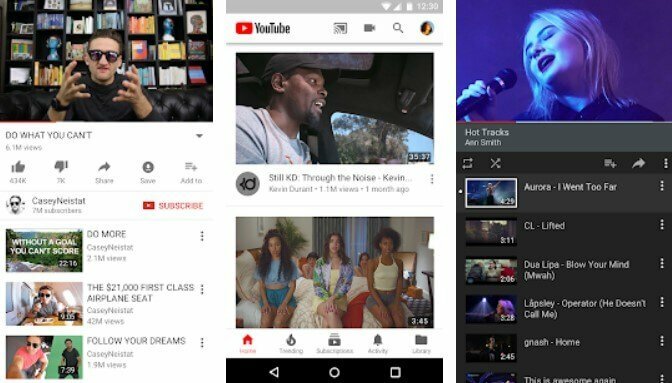 YouTube has been one of the most popular apps for streaming online videos but there is no doubt that other apps have a lot more to offer. The most interesting part is that you don’t have to pay anything to watch movies online and TV shows on these apps. They also give the flexibility of watching shows at any time as long as you are connected to a stable Wi-Fi or internet connection.